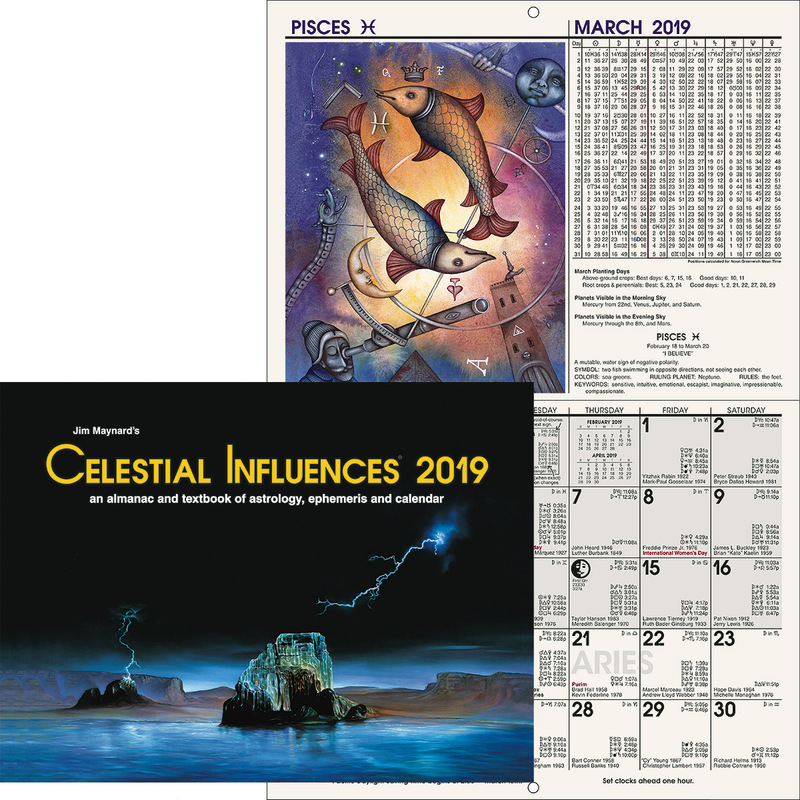 A pocket-sized version of the Celestial Influences wall calendar. 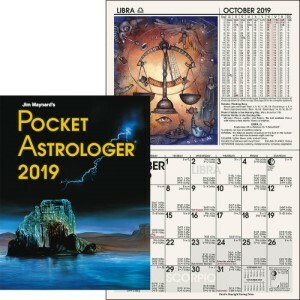 This Pocket Astrologer includes a basic introduction to astrology and information on how to use the calendar, easy to understand explanations are listed for the moon, including void of course information, and the influences of the moon as it travels through the different zodiac signs and phases. 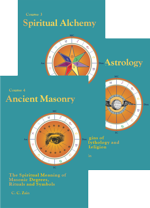 A summary is given for each of the major planets and their influences as they interact with each other and the signs of the zodiac are described in detail. Included are January and February of the following year, an abbreviated ephemeris next to each zodiac illustration, a full ephemeris on pages following the calendar pages, an asteroid ephemeris, a table of sunrises and sunsets, and a chart blank. 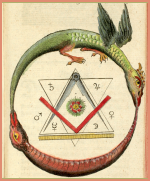 Color throughout — full color illustrations, zodiac months are highlighted with a tinted background, ephemerides indicate Retrograde with tints, etc. 4¼ x 5½ inches, 64 pages, full color illustrations and cover. Calendars are always for current year.